Not really Damien - this is better, but still not very good. using the pre-made rigging was obviously a compromise as the angles are not correct. 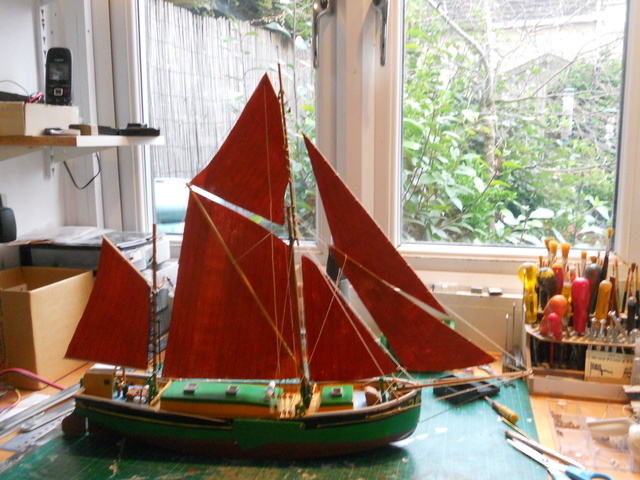 I have been painting the sails as these are traditionally red in colour and the ones supplied are off white. I have used Humbrol Red/Brown which looks quite good. I gave them a coat a few days ago, but only coated one side which this left them patchy when viewed against the light so today I coated the other side. the things you do for love . I think your wife will be very happy when you have completed it, as it looks very nice to me. is it going to be her Christmas present from you. keep up the good work barrie . Hi David - Christmas 2019 maybe . Talking about painting - I have bought two pots of Humbrol Enamel recently. One had a thick crust on it, the other is the texture of putty. I think I will have to switch to acrylic paints. 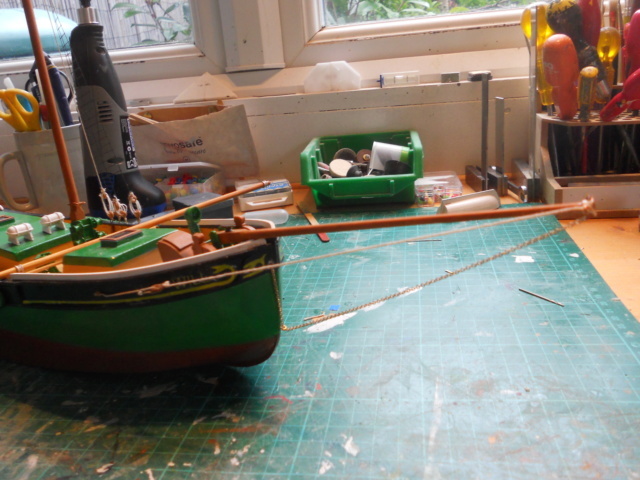 I completed the bowsprit stays today, and added some support for the mast. 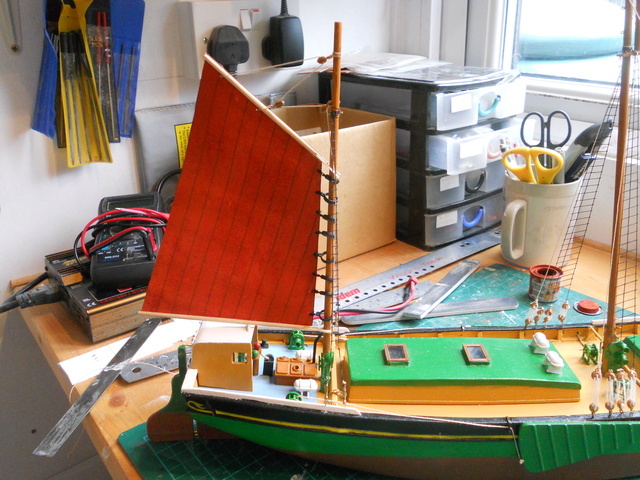 Tried the mizzen sail, and after adjusting the yokes of the booms, it looks not too bad. 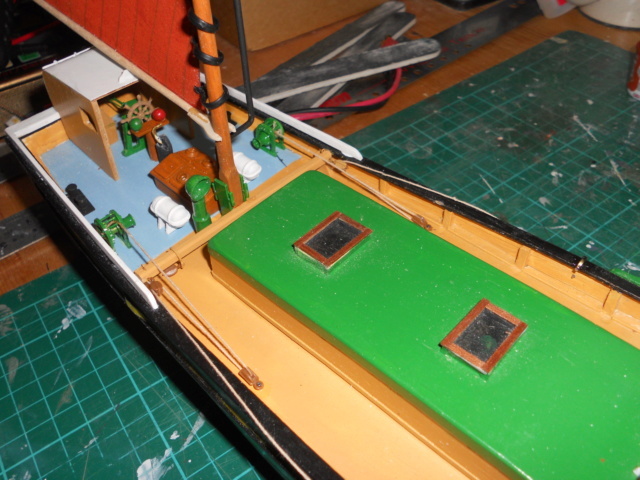 I also fitted the ropes for raising and lowering the paddles. 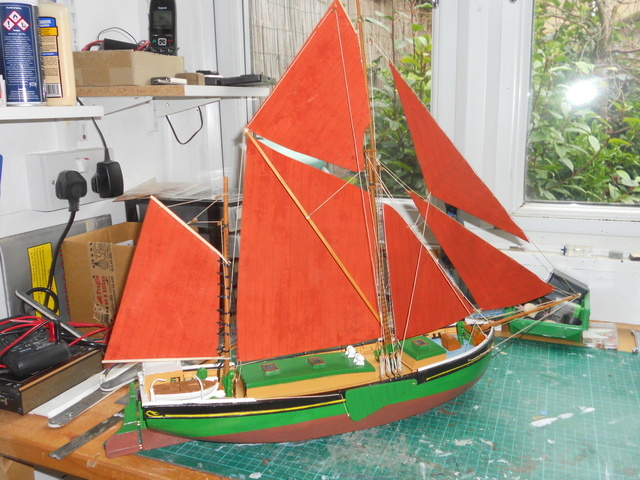 and the main sail has also been fitted. Again my rigging plan and as few blocks as I could get away with. 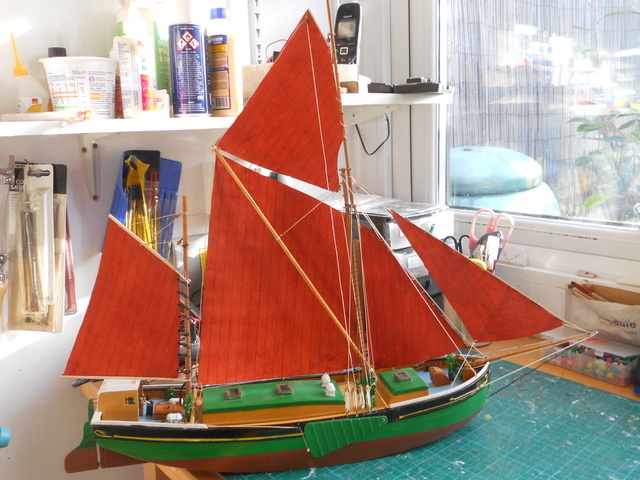 There are still four more sails to fit and I still have to work out how I am going to fix them. Got the third sail on this morning. It looks OK, although it doesn't hang as well as I had hoped. Again the rigging is simplified, but looks OK. Just three more which are going to be the most diificult I think. Last sail fitted ..... and then disaster I was trimming some ends of thread and managed to sever the supporting rope of the last sail I had fitted Its only held by the rope that lowers it. I will have to re-do this tomorrow. 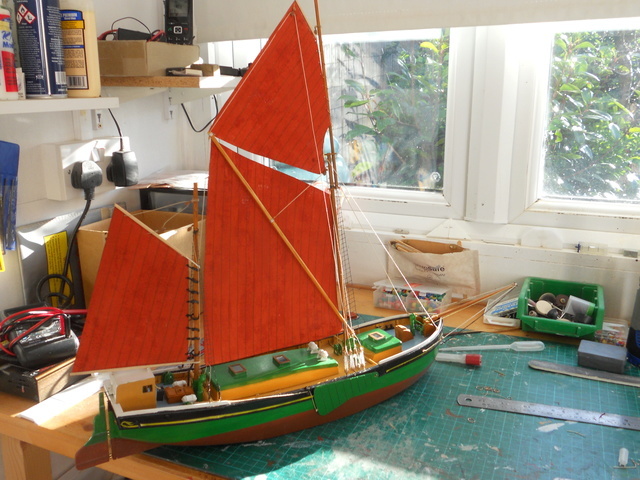 Repair made and dinghy fitted. I thought I had finished, then found the life rings . I have painted these and they will be fitted later. 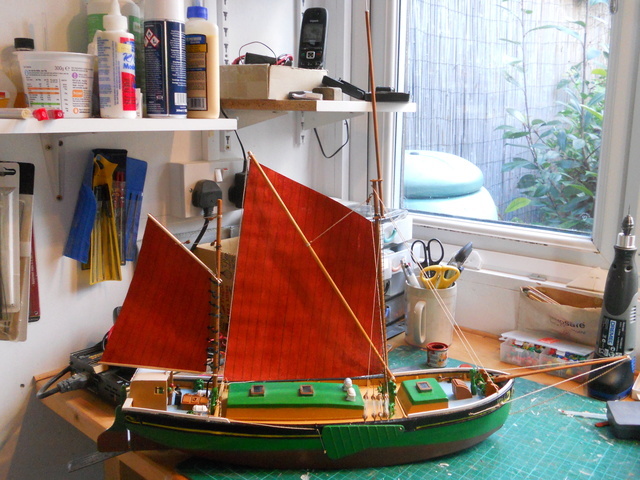 looks good barrie…...have always had a liking for the old Thames barges...…..after seeing one regularly sail from Glasson Dock across Morecambe bay under full sail....was a glorious site. 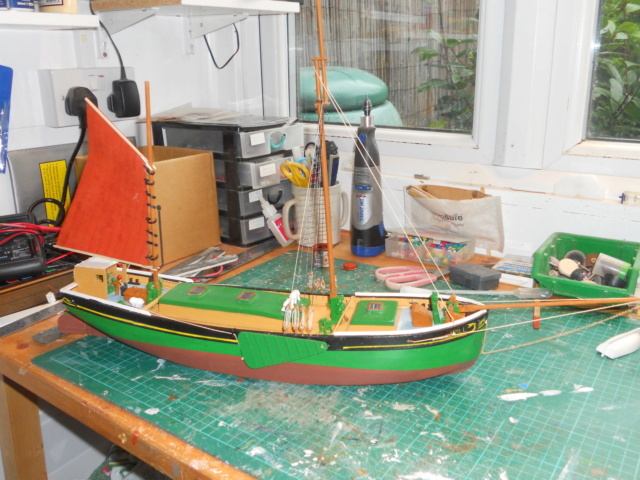 then one day when I was depositing a model for auction at Christies in London at their warehouse, I noticed a thames barge on the floor....had a look at it.…….fully rigged but all laid on the deck...….it was 88inches long, without bowsprit rolled out ...........and what a beauty it was...........I forgot to bid on it and it never sold......200 quid reserve. but god knows what I would have done with an 88inch barge..........but my god she'd have looked a goodly site on the watter, lol. wonder if its still around somewhere. My parents had a caravan near Morecambe and Glasson was a favourite outing for us, although I don't remember many boats to look at. Many years ago before we moved south. 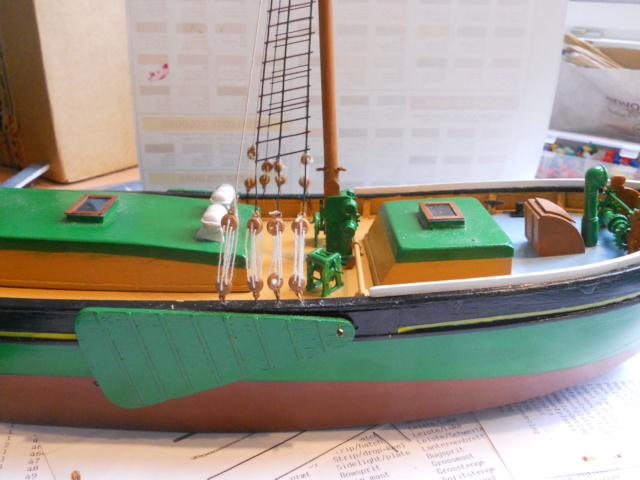 the one I used to see had a grey/whiter hull...…..much similar to that in your photo. 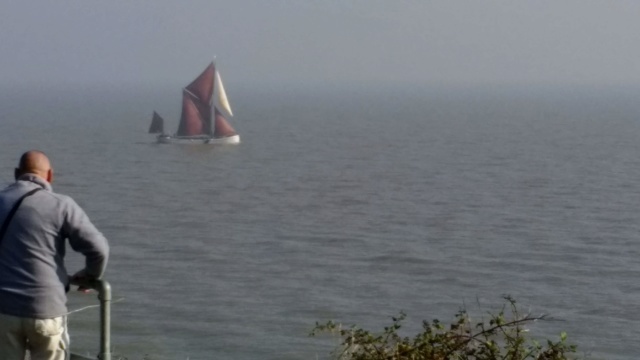 I do know she moved back down to the south east......wonder if its the same barge....they are a beautiful sight...….would love to see them racing...……..just too far these days to travel.